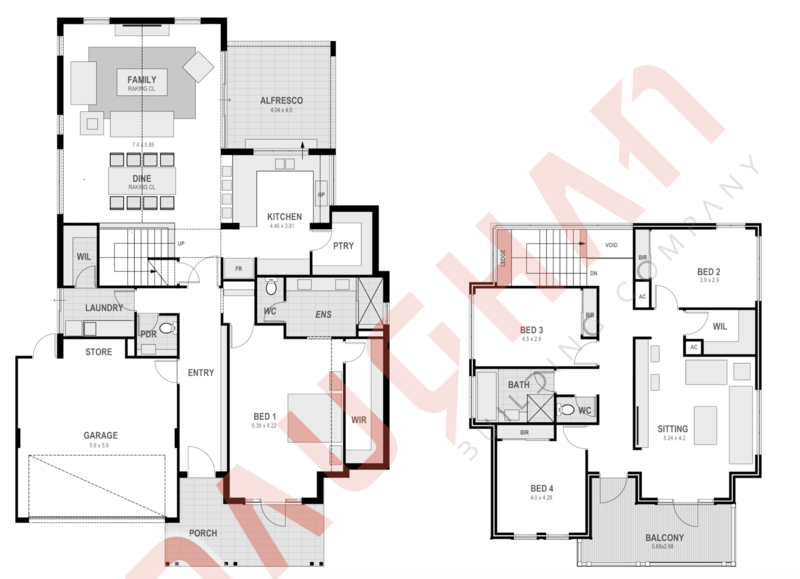 At Maughan we specialise in design and Construction of Custom Home Designs. There are so many variations of Hampton Style Home today, that the authenticity of a true Hampton is actually rare. This mostly comes down to the creativity of the designer, the budget of the client and builder willing to challenge himself to create something special. If a true Hampton style custom design is what you require I invite you to set us the challenge. Architecture is our passion… whatever design you have in mind. We can tailor your Hampton design specifically to your ideas and bring a few of our own to help you create your dream Hampton home. 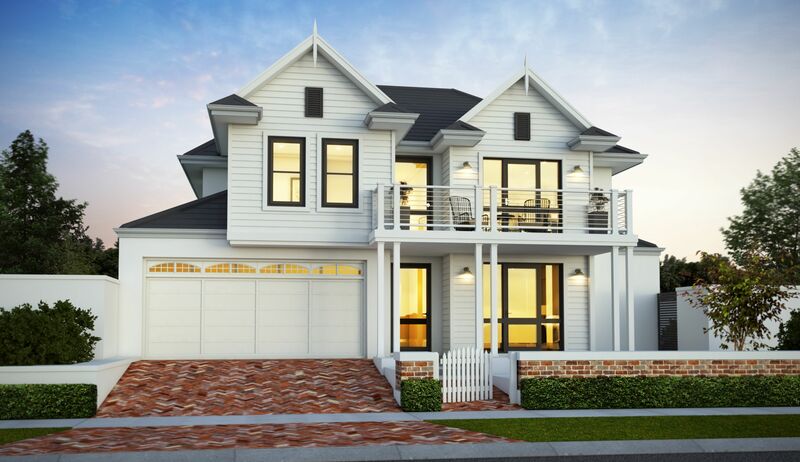 These are tailored for a specific requirement and more cost effective than the custom product, we invite you to have a look at our standard two storey Hampton Style Home design below it just maybe what you are after. You enter the home via a deep, wide verandah. This provides an intimate sitting area off the main bedroom at the front of the home. The Hampton’s Master bedroom is of a size befitting this style with space for a lounging area. As you would expect it is serviced by an extensive walk in robe and generous ensuite with double vanity, over size shower and separate WC. The Hampton Style Home’s double garage and store are separated from the Master suite by a commanding Entry statement and wide hallway or gallery. As you walk down the Gallery you will notice the laundry or utility room to your left with substantial linen storage. The ground floor is serviced by a powder room at this point. Once you reach the staircase the rear of the home opens up. To your right is an enormous “U” shape stone topped kitchen with breakfast bar. The chef of the home will love the cavernous Pantry. Thoughtfully the position of the kitchen relates beautifully to the Alfresco which allows for a servery. The Dine and Family also occupy the rear of the home and are an attraction in themselves with their generous proportion, rake ceiling and access to the Alfresco. Ascending the stairs, you will find that all spaces are thoughtfully separated to allow privacy for the 3 bedrooms which all feature built in robes. These bedrooms are serviced by a good sized second bathroom and separate WC. There is also a large walk in linen. The upper sitting room enjoys access to a substantial balcony making this a perfect place to entertain or take in a view. A well planned and thought out Hampton Style Home that will command attention in any street.